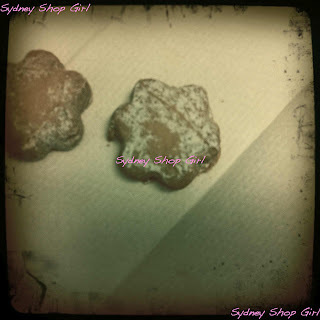 Sydney Shop Girl: Bits and Pieces. Bicarb Baths. Daiso Greenery. I'm feeling a little 'bits and pieces' today. Not really here but not really there at the same time. My mind's on so many things right now. There's excitement, there's nerves and the good old 'can't wait until it's all done'. But there's also a whole heap of reflection and a sense of how far I've come in the last little while, in so many aspects of my life. I often get like this before a 'big' day. Which is one way of describing tomorrow. The day will begin at the crack of dawn with tests to see how things are going with regard to the Sooooo situation. Then I have to re-interview for my job because the position is now being made permanent. And then, Mr SSG and I will be celebrating our fourth wedding anniversary. Quietly, I'm thinking, with a home cooked dinner and some illicit ice cream for dessert. I am sorely tempted to get some Cherry Ripes to make a sauce to go with the ice cream. If I get around to it, I will share the recipe for the sauce. The one I've found is 100% microwaveable which is always good for a mid week dessert. 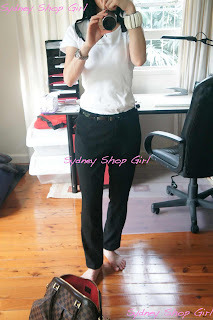 Trousers - next, T - Emerson at Big W, belt - Esprit, bangle - Marni at H+M, bag - Louis Vuitton. When in doubt or indecision, I go for black and white with an arm party for interest. Sometimes, even I'm baffled by the things I bring home from Costco. 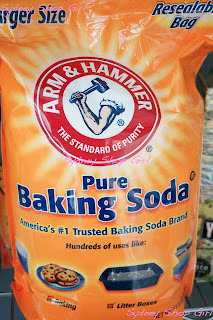 But this 6kg (resealable) bag of food grade sodium bicarbonate was a bargain just too good to refuse. I use bicarb everywhere around the house - cleaning, to deodorize the fridge, to wash my hair and even in cooking every so often. It was a purchase that would pay for itself. Possibly over decades. Despite my widespread use of the cheap as chips salt, the actual amount I use for each purpose is probably a tablespoon here and there at most. So I gave it a go this evening. A scoop of bicarb followed by a drizzle of that delicious Pomegranate Noir bath oil. It was bliss. The salts made my after work soak even more soothing and conducive to productive thoughts about the challenges that tomorrow will bring. 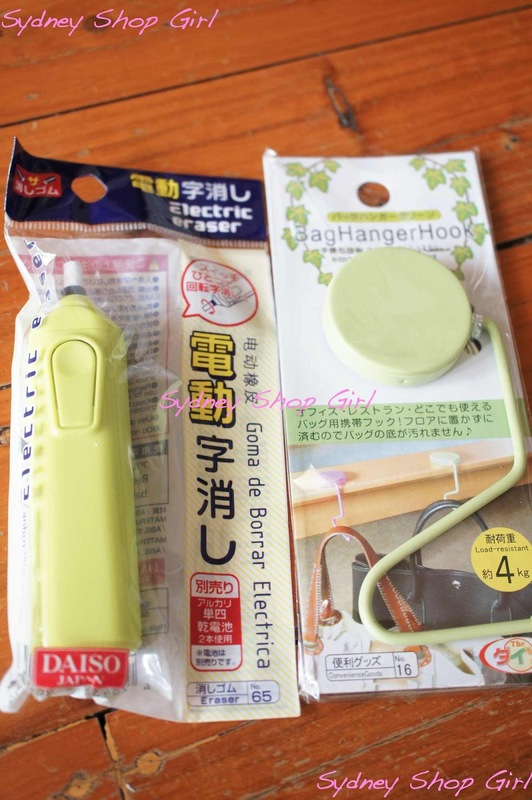 An electric eraser and a bag hook from Daiso. My pink bag hook is still going strong. I've finished putting together the prize pool for the work fun day. I was shopping for green snacks last week and the second half of the prize pool had to be green gadgets. Where else but Daiso would you be able to find useful bits and bobs that have to be green? It was actually harder to buy the prizes than I thought because my workmates are all so different in age and lifestyle, but I think I've got most people covered. 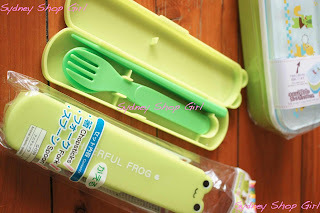 You can never go wrong with a portable cutlery or kitchenware. At least that's my take on my purchases. I hope the prizes go down well or at least with a laugh. We're also having a green themed lunch on the day. I will report back with any interesting food sightings! I'm signing of for now. I have an early start tomorrow and you're right, I do have to figure out what to wear. I've got everything crossed for tomorrow SSG. Sending warm wishes your way. Sending best wishes for tomorrow. Both for the interview and the soooooo situation. Hoping for only good news tomorrow for you. Best of luck for tomorrow SSG on both fronts and congratulations on your wedding anniversary! Sending you love and luck. 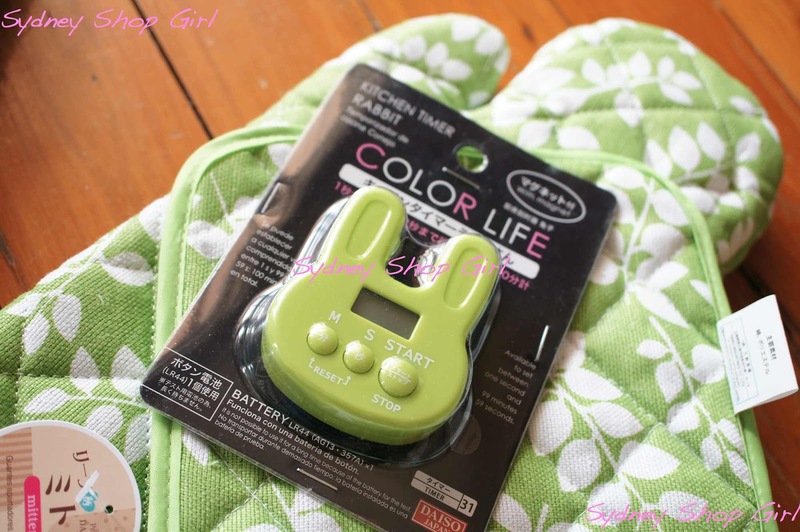 PS - I am loving these green themed prizes! 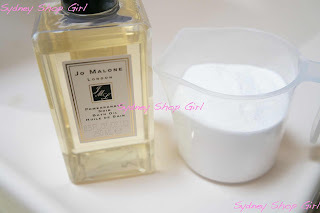 PPS - I am glad I am not the only one to wash my hair with bicarb. Best wishes for tomorrow, and congratulations on your anniversary! 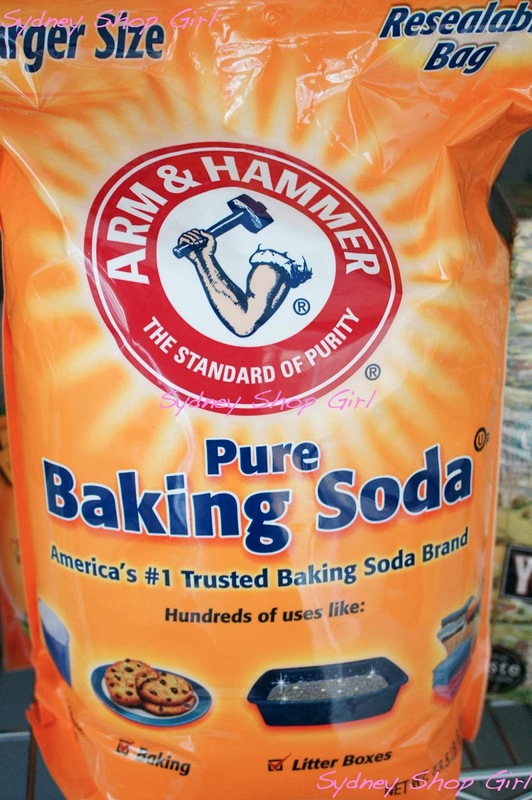 Wow 1001 uses for bicarb. Who knew? Will be thinking of you tomorrow - hope it all goes well. Sending tons of good wishes to you for tomorrow SSG. Best wishes for today - thank you for sharing with us! That Daiso electric eraser is awesome. Love mine! Hope your day is going brilliantly.